Edible recipes aren’t the only way you can have fun in the kitchen with your kids! There are also some fun kitchen science experiments and concoctions to make. 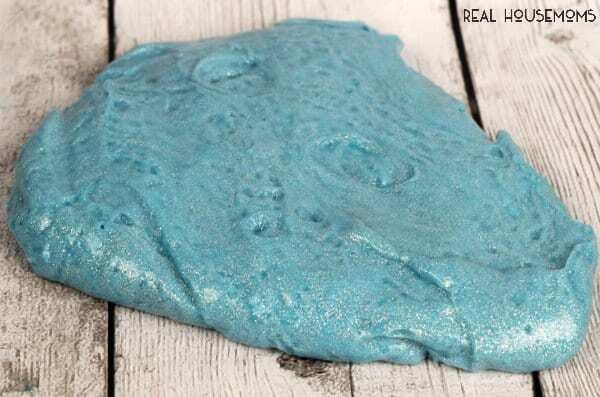 One of our favorites is homemade silly putty (or slime, gak, flubber, etc). 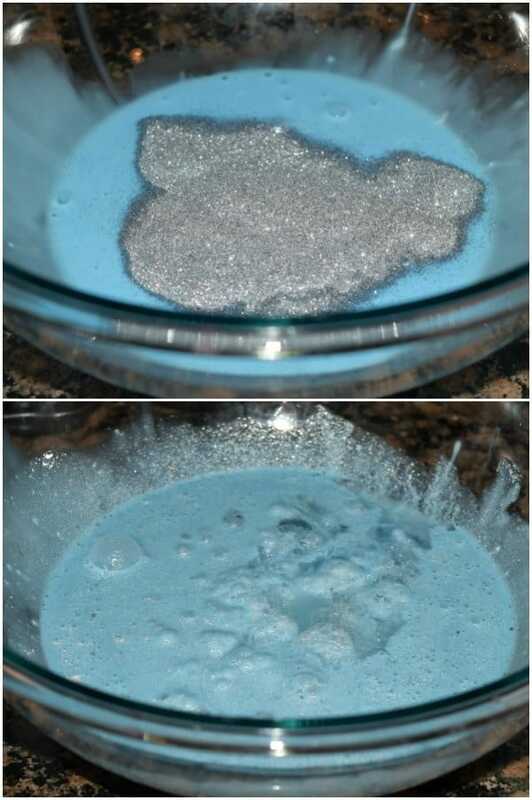 You really only need a few fairly common ingredients and you have something the kids will play with for hours. In this version, we’ve added glitter for some extra fun! Kids LOVE this stuff! It’s quick to make and so fun to play with. 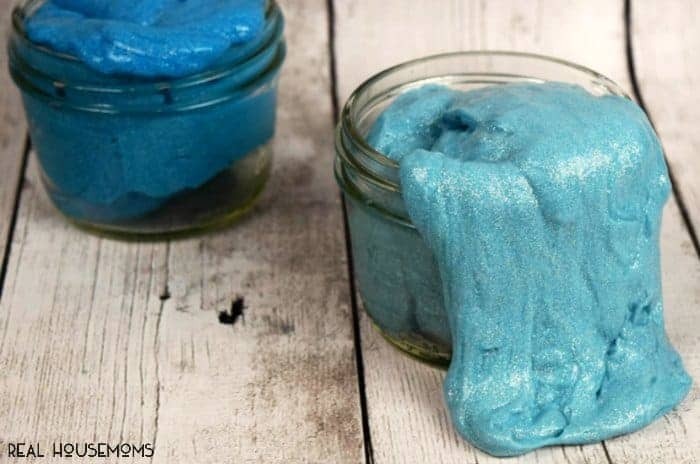 If you store it in a plastic container, mason jar, or ziploc baggie, the homemade silly putty will usually keep fresh for weeks! 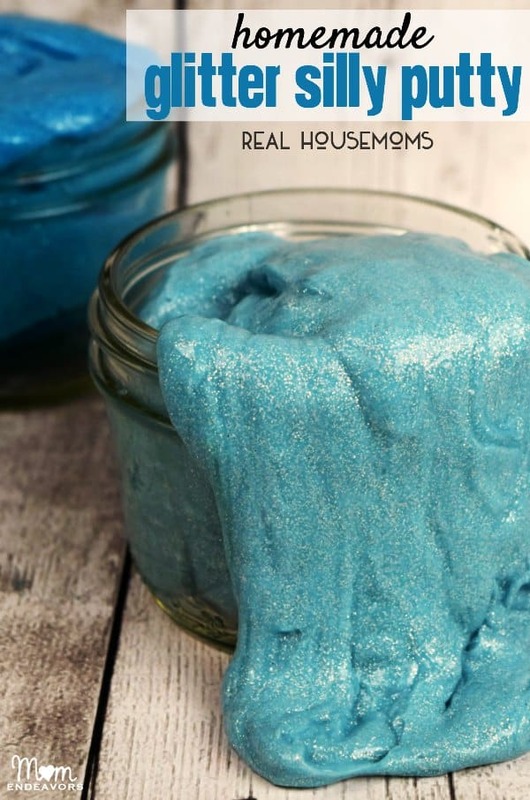 For more fun sensory ideas for kids, try homemade peppermint playdough, or ice paints! Borax is a type of powdered soap.